I was mostly expecting this book to be one sharing of a church planter’s experience and insights especially with such a title. However, it was not. Patrick Darrin, who is the founding pastor of the Journey Church in St. Louis, provides what he believes are the essentials for any church planter. These are divided in three aspects: The man; the message; and the mission. The other two aspects are mainly reminders to what the gospel is about and what the church is all about. Sadly, the book became weaker rather than stronger towards the end. Personally, I felt the book with such a title could have been more compelling. It was disappointing that it was filled with a great deal of theology. This book could have been more convincing if more personal stories were used to illustrate his key points. Overall, this is still a useful book to read especially for a person who’s exploring on God’s leading as a church planter. But don’t read it if you’re looking for advice or a how-to manual for planting a church. Who should read it: Aspiring church planters, missionaries, pastors, or anyone serving in ministry. “The first thing I want you to do is pray. Pray every way you know how, for everyone you know. Pray especially for rulers and their governments to rule well so we can be quietly about our business of living simply, in humble contemplation. Moving forward into the next 5 years, my hope is to see a greater level of fair play in our political arena to avoid unjust results. For instance, the loss of well-loved George Yeo and the election of the infamous Tin Pei Ling exposes the shortcomings of the Group Representation Constituency (GRC) system that was meant to defend the PAP’s stronghold. Moreover, the ruling party has been using this to their advantage in bringing in more numbers and newbies into the parliament. So abolishing the GRC system is the right way forward for fair results in future elections to reflect the true representations from the people. And it is also a means to secure votes to its favour since the boundaries are drawn according to analysis from past GE results (read this TOC article). The other more obvious correction is to replace the state-controlled media with a free media that doesn’t report with biasness or favour towards the ruling party. The PAP using the state-owned media to its advantage by shredding the opposition in pieces with smear tactics that cast doubt over their credibility. The PAP has the right to accuse while the oppositions mostly do not have the right to respond in clarifying. But if the media still intends to control the media, the very least that could be done is allow more private media agencies to be set up as alternative voices. That would also allow fair play and give voters more sides of the story especially for the older voters who do not rely on the internet but hugely depend and trust on the mainstream media for news. Finally, there is a need to de-politicised our grassroots groups and agencies which has largely been influenced by the PAP. This machinery has work successfully for the ruling party in garnering support and votes over the years (read this CIA report). Having said all that, I’m not hopeful for these changes to happen. If these changes do take place, then I would say that the PAP has truly transformed as what has been said in order to be opened and to connect emotionally to the people. So, in the next GE I think the best approach for opposition parties to contest next time around would be focusing on GRCs by concentrating strong and quality candidates in them instead of contesting SMCs that would spread their limited resources. Winning would accelerate the process towards a first world parliament. 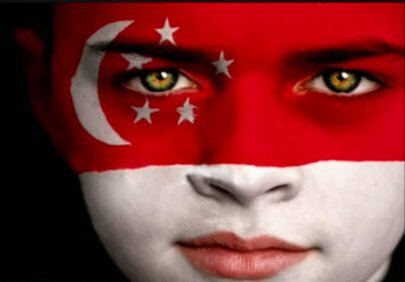 But the true winners at the end of the day are Singaporeans (rich or poor, old or young, educated or not-so-educated, male or female). Because of this GE, many got to vote for the first time (including myself). And because of that became more politically awared and engaged due to the responsibility to vote seriously. As what good is it to be a citizen if we do not have the right to vote during elections? Therefore, much thanks ought to be given to the opposition for uniting and giving a good fight inspite of the adversities and risks involved in order that we can exercise our right to vote. THANK YOU! And now for us Singaporeans to unite and move ahead with the newly elected govenment for the next 5 years! Below is one of the best personal commentaries on Singapore’s politics and the elections that I’ve read. Best in terms of objectivity, humility, full knowledge (not half-truths) of history, Christian’s view, balanced and especially humanity. Please read on. Even though I’m against the PAP, I do recognize that in the past the PAP has had to make hard decisions and they’ve had to pass unpopular policies for the benefit of the country. Governing a country is certainly not easy. Some decisions are hard decisions, but they need to be made nevertheless. So I do think that in general the PAP has had the right intentions. They are not out to enrich themselves and they have no intention to make the poor suffer. They are well-qualified people with our interests at heart. As yet, I wouldn’t trust an opposition government to make the right decisions. I believe the opposition candidates have bigger hearts, but I don’t believe there are enough with the experience and knowledge to understand the complexity of decisions involved and to make the difficult “non-populist” decision when needed. On the other hand, while the PAP have lots of talented people, that in no way means they always make the right decisions that are best for Singapore. And that is the great problem with a one-party dominated parliament. There may be debates within the party, but that’s not good enough. We need more voices and alternatives to be discussed publicly, not just behind closed doors. For me, the General Elections’ results carry a mix of emotions- one of euphoric delight which is matched with indescribable sadness at the same time. Not to mention the deep injustice of how the electoral process and contest are carried out. Firstly, I’m delighted over the overall outcome of the elections. This GE finally marked a victory for the opposition and for Singaporeans who do not connect with an authoritarian-style government. History was made when almost all constituencies (except one) were contested for the first time since independence. PAP didn’t win easily as it did in previous elections which was marked by massive walkovers. More importantly, the opposition namely the Worker’s Party (WP) secured 6 seats in parliament with 81-6 with PAP the majority. Again, this is the record highest number of seats for the opposition since independence. But the highlight has to be the historical breakthrough win of Aljunied GRC by WP. The first GRC ever to be won by the oppositon since the GRC system was introduced in 1988. However the pursued of democracy in Singapore was dealt a heavy blow where Mr Chiam See Tong was ousted by the PAP team in Bishan-Toa Payoh GRC. 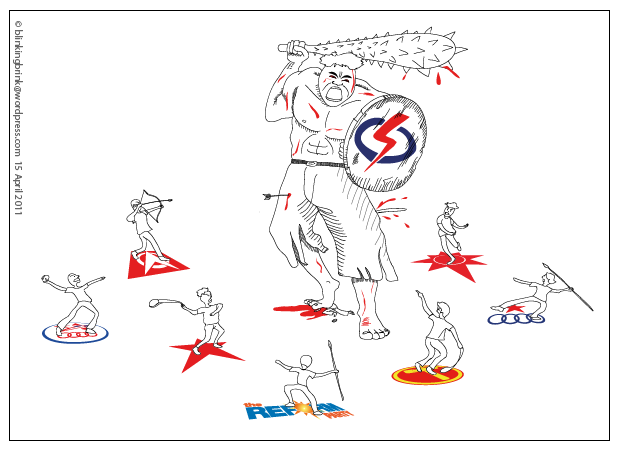 This was further aggravated with the marginal defeat (by 114 votes) of the Potong Pasir SMC to the PAP after 27 years. 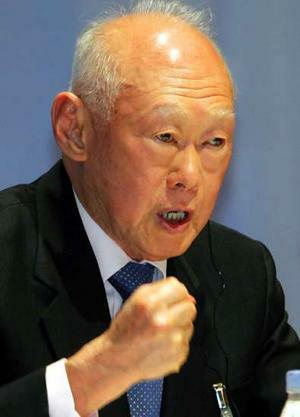 Now Chiam, the longest serving oppositioon is out of parliament. What is upsetting was the 242 spoilt votes that were made in Potong Pasir SMC. Though the votes if had been decided could have cut both ways. At least the results would have been undisputed. I hope this can be a lesson for those who had spoilt their votes not to do so the next time. Be responsible and make a decision. Singaporeans are rationale and pragmatic voters. They do not vote for opposition for the sake of an opposition in the name of democracy at the expense of poltical or economic instability. (Observation: From election results of SPP in spite of the overwhelming support of oppositions at rallies and 27 years in Potong Pasir ward). Voters do want a credible opposition towards a first world parliament. If oppositions can field better quality candidates than the ruling party, chances are high to win their votes. (Observation: From the Aljunied win which I believe was helped by the introduction of Chen Show Mao). Most voters fall in the middle-income group. Hence, more educated and affluent. Therefore, they cannot be cowed by dangling ‘carrots’ of upgrading and etc… (Observation: From the defiance of dismissing Lee Kuan Yew’s threats). The demographics of the voters have changed with the addition of Gen Y. Hence the chasm between the incumbent and voters has widened. No longer can the PAP use old tactics to engage and win seats. (Observation: From the online protests and swelling of support towards the opposition when smeared with media attacks).